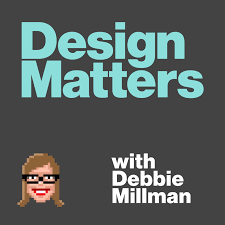 This week on the Creative Waffle podcast, I chat with design and podcasting legend, Debbie Millman. On the show, Debbie shares her advice for creatives, as we talk Burger King and working with big brands, why design matters, education and how to survive design school. We also talk about podcasting and how the scene has changed since Design Matters first aired. Hope you enjoy the show.